How many times do we take the time to thank our pastors and wives. I know there are certain times throughout the year (October) that is pastor appreciation and so on. But what about being thankful everyday for what they really do. I’m not sure exactly why I am doing a blog on this topic, but it has been on my heart lately. When I talk to different people about where they go to church at and what kinds of things they do, I end up with all kinds of answers. Usually for the most part they either have a love-hate reaction when it comes to thier experiences. One of the things I have noticed is that the pastors and church leaders must have people that has to drive them nuts over some pretty petty stuff. Pastors must have a great deal of patience when it comes to dealing with so many different types of people. Pastors have a pretty difficult job when I think about it. They must deal with difficult people that have Type A personalities (me) and Type B personalities. It must be difficult to deal with people come in all different types of people.I wonder how many times pastors do the palm face thing with all they have to deal with. I would think it would be very challenging to pastors when it comes to having to make people happy. When really in my own mindset, it isn’t the people that should be made happy like some think, it is God that pastors and people should be wanting to please. Some people are unrealistic when it comes to what pastors and church leaders do. I would rather have a pastor that isn’t all about stroking my ego. Even though it is a nice feature in a spouse, lol. I wonder at times what pastors think when they have people coming at them from all directions and they all have something else they have in mind. I don’t think there is any church that will 100 percent agree on what is best for the church and to bring the truth to God’s people. I think that is what I like the most about our pastor. He isn’t worried about saying it as it is. If it is in the Bible then that’s what is going to be shared with the congregation. It drives me nuts when churches and pastors are so worried about being politically correct and afraid to offend others. Offend me all day long if that is what I need to hear to live eternally with Christ. I have never been or plan on being politically correct. In James 1:19-20 it says, “So then, my beloved brethren, let every man be swift to hear, slow to speak, slow to wrath; for the wrath of man does not produce the righteousness of God” (NKJV). I heard a quote when reading a blog and it said, “You only have to deal with these people a very few hours of the week. Be glad you aren’t married to them or don’t have to live with them.” I would think that would be true. I am on good behavior at church. Well, kind of good behavior. I’m not a sugar coating kind of person. But many people want to have their church face on when it comes to church. They don’t show all sides of their personalities. Now if I were to go off in a tangent when my patience has run low or is out the window all together, I would think people would not want to be around me. Thankfully I don’t do that at church. There are some people though that I want to hit them over the head with a mallot. But I can’t, so I won’t lol. When I was reading about the different kinds of people that are at church, I had a chuckle over it. Here is a list of just a few of them. I wonder if Pastor Ray ever feels he is dealing with these types of people. Intimidating people are very blunt and tell you like it is. They will want to be sure you understand what they are saying and that you have to do it their way or the highway. Then you have those who just can’t stop controlling everything when it comes to church meetings and other events. I think this is why I hate going to business meetings at church. There is always someone who has an opinion about EVERYTHING. Complainers are plentiful from my understanding when I talk to some of my friends who are or have been pastors. One of my friends is no longer one because those in the congregation would complain about everything and anything. They just go on and on and on about stupid things, like curtains, lol. Then there are those people who you don’t want to deal with. They get their feel bads hurt to easily or they get loud if they don’t agree with them. I know a few of these people and I have to say that I am somewhat happy when I don’t see them at church. When I hear their voices, I cringe since I know that nothing I have to say will make a difference and it is a one way conversation. I wonder how many people really take into account just how much a pastor does. In our church our pastor does the administration stuff, correspondence, home visits, on call 24/7, meetings, baptisms, funerals, problem solving, studying, teaching, counselors and just about anything the church needs. In our area where Bishops from the LDS church doesn’t get paid, many wonder why we pay our pastors. It is because his work is never done. He is on the job all the time. He has no job outside of the church and we are grateful and blessed to call him our pastor. I have three close friends who are pastors that aren’t of my church and I asked them what is it about being a pastor or church leader that is the hardest for them. They were saying how the congregations for the most part expect them to have a level of perfectionism. Nobody really asks them what it is that they are going through whether it is fears, stresses, health issues and how they feel discouraged when it comes to things going on in their lives. They also said that there is no right answer. No matter how hard they try to make things work the best for everyone, meaning in comfort levels in church, someone is going to gripe and complain. I can see how the hard to please people thing goes. Our church is a mostly senior congregation. They like things HOT. I hate the heat and I like things cooler. So you have some of the people acting like they are going to freeze to death and the others like me that is going t have a heat stroke. I would think that as long as I am comfortable, then they all need to deal with it, lo. Of course that isn’t a reality, but it should be. There is only so many cloths you can take off until you get arrested. Those who want to be hot, can wear a parka. Just saying!!! For the most part minus one pastor some time ago, we have been a blessed church. I’m pretty sure we have some difficult people, including myself :). Pastors I would think are just like anyone else, except they have a much higher calling and an obligation that makes and eternal difference. But they have struggles just like all of us do. I wonder if pastors have other pastors to talk to when they need someone to just vent to. I would think as a congregation that those of us who have pastors are willing to lend a listening ear and be a friend. You know, pastors need friends too! Our church is a small one and are very supportive when it comes to our pastors and their family. At-least that’s how I see it. If we are failing our pastors, we need to examine how we can help them, not hinder them. In closing I just want to say that as a church family, no matter what church you go to, we should be supportive of our pastors and their family. I would hope that as a church we would want to make sure that our pastors are treated well and that if we see they are getting discouraged and burnt out, that we reach out to them. One of my pastor friends with the Methodist Church was burnt out and treated horribly. No longer is my friend a pastor because of all the expectations the congregation put on her. Pastors burn out just like anyone else and we need to make sure to be there for our pastors and support them in prayer and thanksgiving. I was reading somewhere that people lean on pastors for strength and encouragement but pastors have few if any people they can lean on. I would have to say that is true for the most part. I do hope that isn’t the case with our pastor and if it is, that has to change. So! I want to say, thank you to the pastors I have had in the past and their wives and thank you to our current pastor and his lovely wife Kathi. 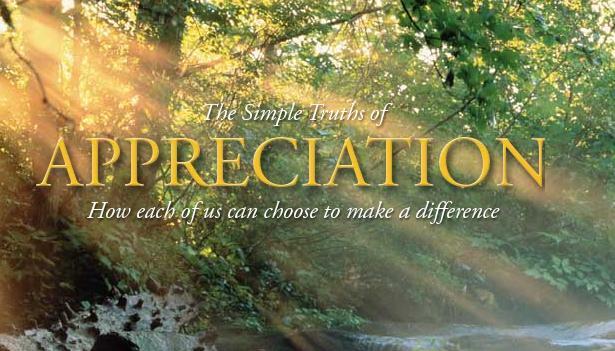 We don’t need to have a day set aside to say thanks, we should do that everyday. Next What Will You Be Remembered For?